You will be more visible if you pay; but you will be more visible (if you want) also if you are a really active user on the website; and you have the right instruments to start your presence online on MyeTV. 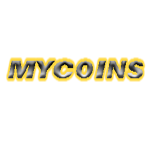 MyCoins can also be used for measure the reputation of an user… But this is another story… I will explain to you what i mean in the near future. Stay Tuned and have a nice day!! !